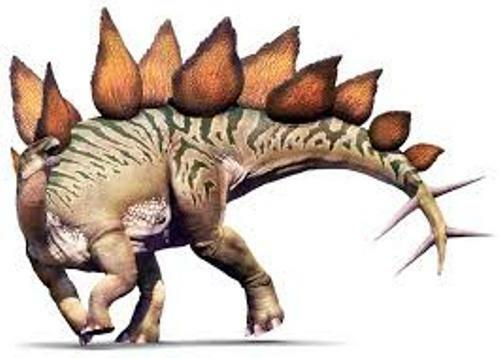 Stegosaurus is very easy to recognize due to the presence of plates and spikes on the body. In the Upper Morrison formation, there were three species which had been identified by the experts. 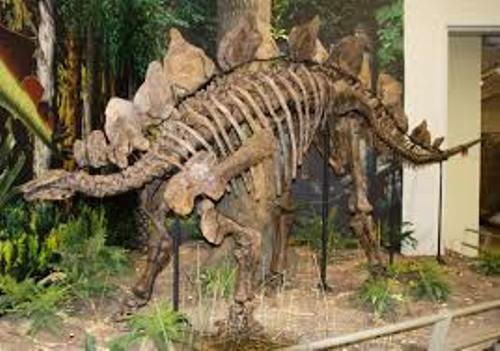 The body posture of Stegosaurus is very unique and different from the rest of dinosaurs. It is herbivorous animal which has large and heavy body. Talking about the body, it has the stiffened tail, short for limb, rounded back and plates. The brain to body mass ratio of stegosaurus is very low. Stegosaurus has spikes all over the body. The main function of the spikes is for defence mechanism. 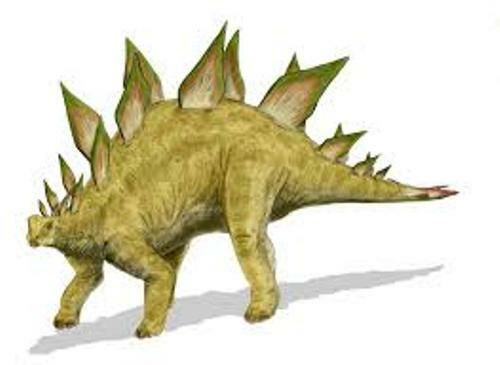 The main food for Stegosaurus is the low lying shrubs and bushes for this dinosaur has the small head and short neck. The easiest stegosaurus to identify is the quadrupedal Stegosaurus. Check the area along the rounded back. You can see the unique double row of kite shaped plates. At the end of the tail, you can find the two pairs of spikes. Stegosaurus is not really big if you compare it with the giant sauropods. The large species of Setgosaurus can reach the length at 30 feet to 9 meter. Find facts about Giganotosaurus here. There were three toes located at the hind feet. There were five toes for each fore foot. A blunt roof was found on the inner two toes. The pads were presented behind the toes. They were used to support the four limbs of stegosaurus. Get facts about dinosaur here. 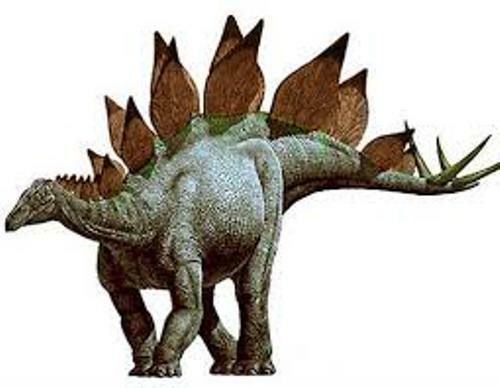 The position of the head of stegosaurus was less than 3.3 feet or 1 meter when it stood. Therefore, it had low positioned head. 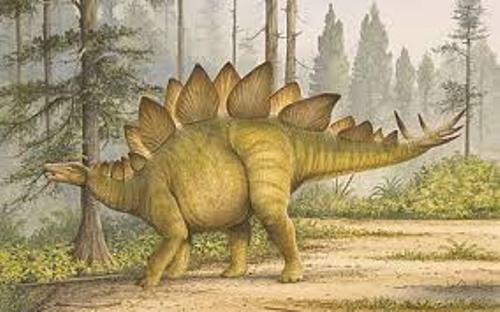 Are you interested reading facts about Stegosaurus?